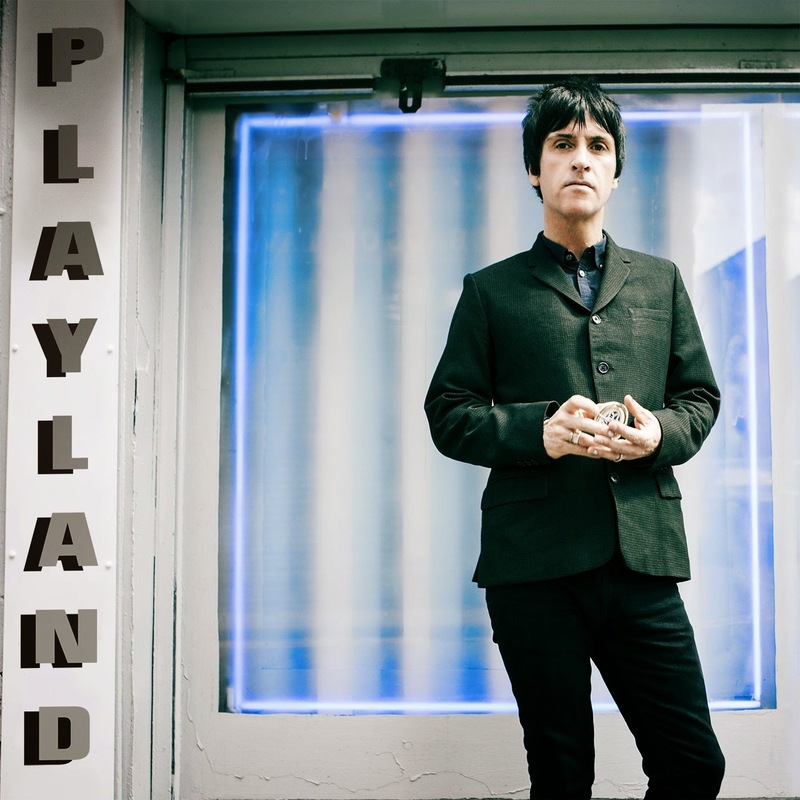 Johnny Marr’s solo career got off to a late start after performing with The Smiths and as a guest member of various bands like Modest Mouse and The Cribs. He made an impressive debut with The Messenger in 2013, and continues that success with the recently released Playland. Once again, Marr places socially relevant lyrics within energetic guitar and keyboards arrangements. An accomplished vocalist as well as an iconic guitar player, he’s at the top of his class when it comes to bringing elements of the 1980s into current music. Marr adds a bit of funk to the catchy “Easy Money” while condemning the lust for riches (“that’s no way to serve”), and the satiric fable “Little King” is delivered with irresistible force and melody. “This Tension” is more cryptic, but its atmospheric arrangement is reminiscent of Marr’s best work with The Smiths. The title track opens with a few minutes of instrumental mayhem and continues with a hard-hitting song that would be well-suited to slam dancing. 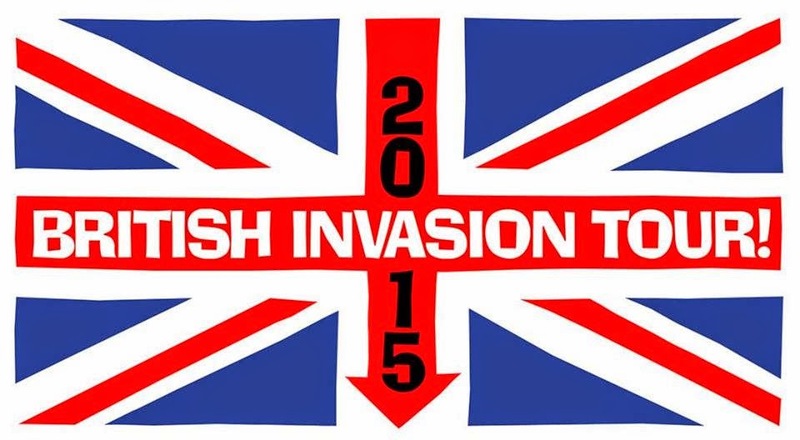 “The Trap” and “Dynamo” have classic new wave arrangements, while the majestic “Candidate” calls to mind U2. Over the course of two solo efforts, Johnny Marr has yet to make a mistake. When I posted a Black Friday Record Store Day preview on November 6th, I noted that it didn’t seem to have the same popularity as the original Record Store Day, which still takes place each year around the third week of April. I also promised to follow up with news of any in-store-performances that would be taking place on this year’s Black Friday Record Store Day. Since then, I haven’t found much in the way of live shows. For those in the western suburbs (or who don’t mind driving to one), Val’s Halla in Oak Park seems to have the most festive activities planned. The Get, an indie/folk quintet that’s currently working on its latest album, will be playing a live set. Val’s Halla will open two hours early at 9:00 AM, and promises hot chocolate and doughnuts to the brave souls willing to lineup in the early morning cold for rare vinyl. Laurie’s Planet Of Sound on Lincoln Avenue in Chicago and Reckless Records (speaking for all its Chicago locations) just announced on Facebook that they will taking part in Black Friday Record Store Day, but I didn’t see any mention of in-store shows. The Dusty Groove store on Ashland Avenue in Chicago promises, “Lots of goodies, refreshments, and other surprises—of the sort we always bring out on Record Store Day, but with a Holiday twist!” Beverly Records, on the city’s south side, will open a 8:00 AM on Friday, and Reggie’s Record Breakers at 2105 S. State Street will open at 9:00 AM. For a full list of of the stores that will be participating in this year’s Black Friday, check out the official Record Store Day website. Even if there is less interest in this holiday version of Record Store Day, there are definitely some vinyl treasures to be picked up. 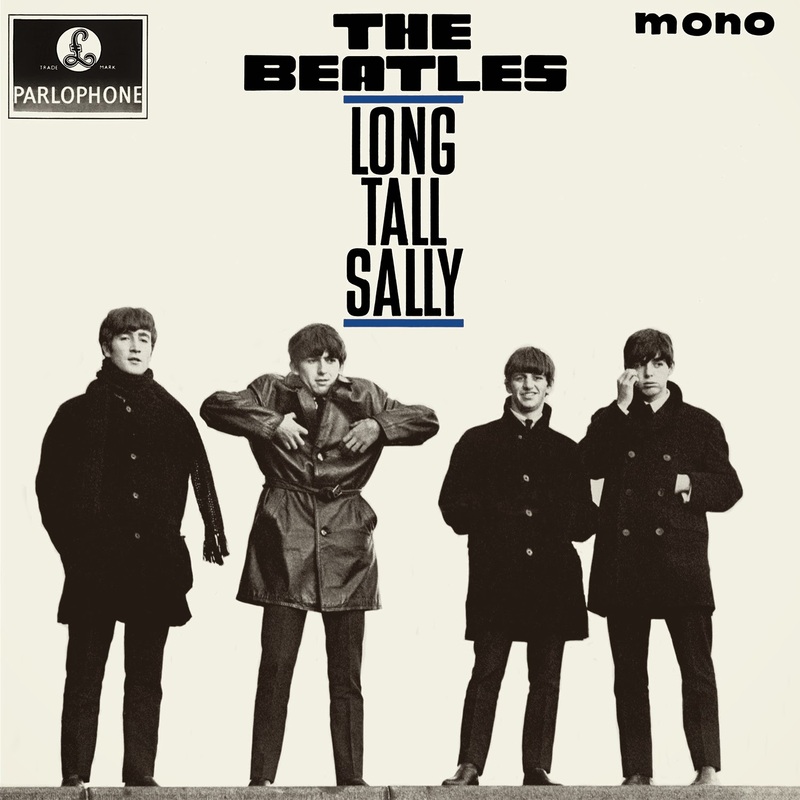 Here are a few selections from my wish list: The Beatles’ “Long Tall Sally” EP on 7” vinyl; David Bowie’s 10” three-track EP; Game Theory’s pair of 10” vinyl releases—Pointed Accounts Of People You Know and Distortion—on clear and green vinyl, respectively; and Chrissie Hynde’s 10” colored vinyl, six-song Stockholm Live At The 229 Club, London, England. Other worthy choices are available from The Kinks, Joan Jett And The Blackhearts; The Ramones (curated by Morrissey); and The Velvet Underground. For a full list of this year’s Black Friday releases, check out the official Record Store Day website. The California-based trio The Forty Nineteens is comprised of bassist-vocalist John Pozza and drummer-vocalist Nick Zeigler—both former members of The Leonards—along with guitarist-vocalist, Chuck Gorian, whose resume includes time with Inland Empire. They’re ably assisted by guest musicians on the eight-song Spin It, especially veteran keyboards player Kevin McCourt. His spirited work on Hammond and Farsifa organ helps The Forty Nineteens jump effortlessly from bluesy rock to Americana to new wave on this spirited follow-up to their 2012 debut No Expiration Date. The energetic “Modern Romance” and “Pink ‘55 Bel Air” evoke 1980s dance hits, and the musicians seem to have just as much fun tapping into The J. Geils Band or Bob Seger for the bluesy rock of “Broken” and “Only Time Will Tell.” A swaggering cover of The Rolling Stones’ “Dead Flowers” is another highlight. 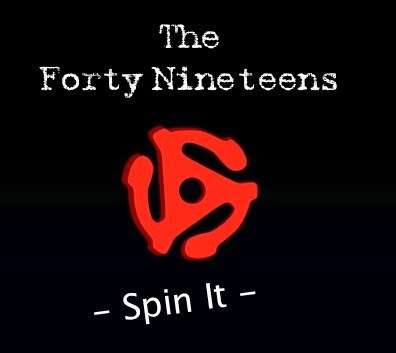 The Forty Nineteens show a lighter, more emotionally nuanced side on “I Can’t Let You Go,” a tale of a guy trying to win back his girlfriend, and the engaging ballad “Have A Good Time.” But for the most part, Spin It exudes the vibe of a live band getting people to party in a bar. I have a couple of stock answers for those occasions when someone asks me to define power pop. 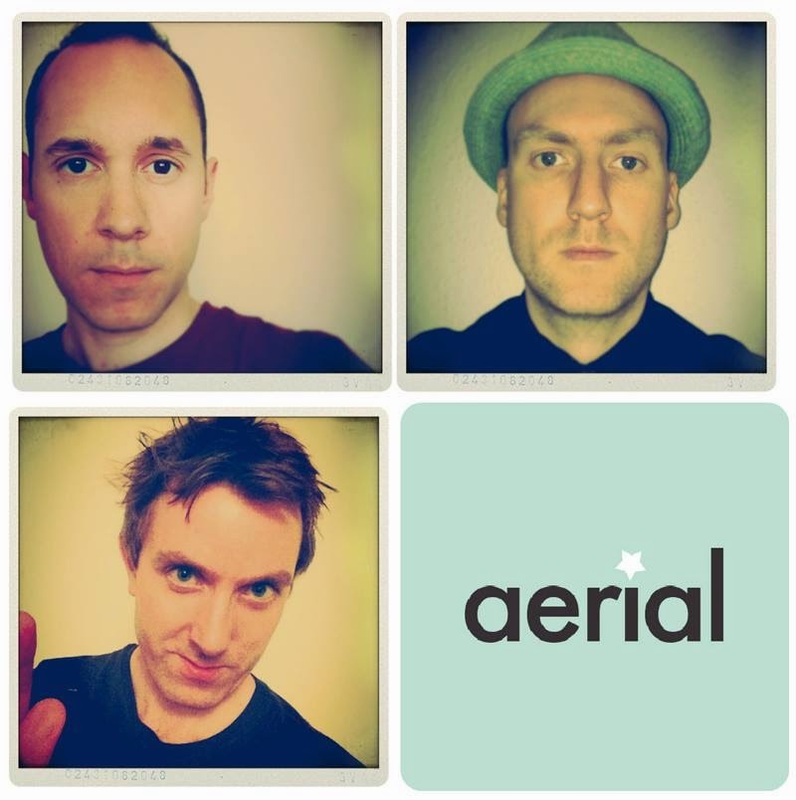 One is: melody + harmonies + energy = power pop. 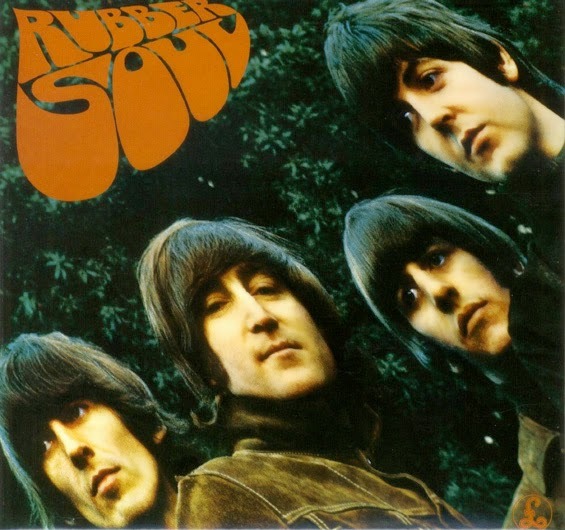 The other is to explain that power pop is like The Beatles and The Hollies, except with more of an edge. Of course, like any genre, power pop can have its ups and downs. It can be twee lyrics set to a derivative arrangement, or it can be an invigorating roller coaster ride driven by ringing guitars and razor-sharp observations on the joys and frustrations of romantic relationships. 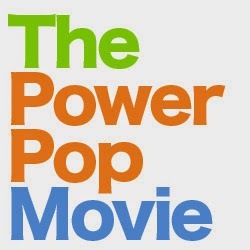 And soon power pop will the subject of an expansive trilogy of books, as well as a documentary. I’m hoping to post a review of noted music author Ken Sharp’s Play On! Power Pop Heroes Volume No. 1 sometime around the end of November or the beginning of December. I’ve already ordered my copy of his limited-edition book, which is due to be shipped in a few weeks. The cover alone is enough to get power pop aficionados and fans of The Who salivating. And just today, I received word from Boston-based filmmaker Justin Fielding of CastParty Productions that he’s set to begin work on a power pop documentary. Fielding has already lined up International Pop Overthrow Founder/CFO David Bash and Bruce Brodeen from Not Lame Recordings and the Pop Geek Heaven website as Executive Producers. He’s also been in contact with the members of the iconic power pop band Shoes. Principal photography will kick off at International Pop Overthrow - Boston, which runs from Wednesday, November 19th through Saturday November 22nd. Happy Birthday to vocalist-guitarist Dag Juhlin. EXPO ‘76, one of the dozens of bands he has performed with over the years (The Slugs and Poi Dog Pondering are two of the others) will be celebrating the occasion tonight with a gig at FitzGerald’s in Berwyn. EXPO ‘76 is an eclectic covers band comprised of veterans of the local music scene. Welcome to Ian Hunter, who will be performing with his Rant Band tonight at the Park West in Chicago. Folk singer-guitarist Quinn Tsan performs at Constellation at 3111 N. Western Avenue in Chicago tonight to celebrate the release of her Good Winter EP at in Chicago. Passerines and Kelsey Wild are also on the bill; the show starts at 9:30 PM. Over 90 vendors will be on hand when Andersonville Galleria holds its 7th Anniversary Party tonight from 7:00 to 10:00 PM. There will be free refreshments and hors d’oeuvres. Andersonville Galleria is located at 5247 N. Clark Street. The TesserAct Theatre Ensemble’s production of The Christmas Schooner opens tonight at Cutting Hall in Palatine. The holiday-themed musical will run through November 30th on Friday and Saturday evenings and Sunday afternoons. Tickets are $16 in advance, and $18 at the door. ChillFest returns for its second year tomorrow, when it will present 85 acoustic performances over the course of six hours. The festival kicks off at noon and will take place throughout Wicker Park and Bucktown; involving venues like Subterranean, Lottie’s Pub, David’s Tea, Bar Bar Black Sheep, and The Smoke Daddy. Performers include Urban Twang, Liz Chidester, Blue Line, Tijuana Hercules, and Acoustic Raccoon. There will be an after-party at Subterranean, starting at 7:15 PM. Chrissie Hynde was in town this past Wednesday for a show at the Chicago Theatre. Backed by a band of young musicians, she performed a mix of Pretenders classics and songs from her 2014 solo debut Stockholm. My review of the concert is now up on the Illinois Entertainer website. Big Paraid, the energetic indie rock trio that performed an impressive set at Durty Nellie’s this past July as part of the Blue Whiskey Film Festival, has a gig coming up next Wednesday, November 19th at the Cobra Lounge in Chicago. Seven bands will be performing at a benefit for Wicker Park business owner Tiffany Dean at the Double Door club on November 19th. Black Cat Heart Attack; The Artist Formally Known As Vince; The Dead On; Anger; The Ladies & Gentlemen; Sunken Ships; Dorian Taj; and Cochinas y Los Pistoleros are the musical guests, and Herb Rosen from the Liars Club will serve as host. The doors open at 7:30 PM, admission is $8. Grownup Noise, a Boston-based quintet that mixes elements of classical music within introspective indie rock songs, will be performing at Uncommon Ground on November 21st. Chicago TARDIS will mark its 15th year of celebrating Doctor Who on November 28–30 at The Westin Lombard Yorktown Center in Lombard. 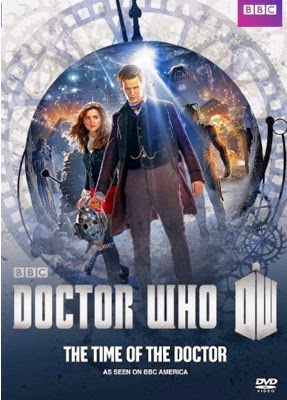 Actress Billie Piper, who played Rose Tyler, the first companion of the rebooted series, and Noel Clarke, who played her boyfriend (and eventually fellow companion) Mickey Smith, are among the special guests. Oh Holy (Because The) Night. The Huffington Post is reporting that Patti Smith has been invited to perform at a Christmas concert being held by Pope Francis in Rome. The Rock For Kids Rock And Roll Auction returns to the Park West on Chicago’s north side for its 26th year on Saturday, November 22nd. WXRT air personalities Lin Brehmer and Marty Lennartz will once again co-host this annual charity event, which benefits Foundations Of Music. It’s an organization that helps provide music education to children who might not otherwise have that opportunity. There will also be DJ sets by DJRC, and live music by the student-comprised groups Morphtet and The Foundations of Music Blues Band. 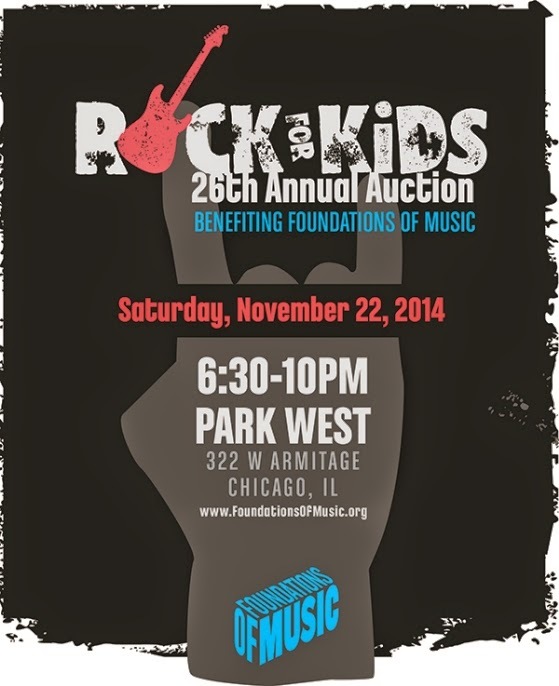 Rock For Kids is well known for offering a fascinating selection of memorabilia from musicians and other celebrities. Some of the treasures attendees can bid on this year include a WXRT Lollapalooza Weekend package; The Ramones Anthology signed by the original members, the Heart vinyl LP Fanatic signed by Ann and Nancy Wilson; a hat signed by The Cure; a framed photograph of John Lennon; a Brian Wilson-signed DVD of Pet Sounds - Live In London; a Ray Davies guitar pick; and a Wilco and Flaming Lips New Year’s poster. There will be a silent auction and a live auction; see the Rock For Kids website for details and the complete list. Not everyone has the money to snag one of these rare items, but Rock For Kids is fun even for those who are just there to watch. At times, the auction takes on the ambience of a playoff game as the bidding gets ferocious. And in the end, it will be Chicago area kids who will be the winners. Early Bird tickets can be purchased for $75 through November, after that they’re $125. It seems like I’ve been saving entertainment-related articles and reviews for over a hundred years now. Some of them are ones that I’ve written and others are by people who’ve actually made a living as journalists. The pieces by other writers are pasted into spiral notebooks, along with photos, art, and comics that also struck my fancy. I’ve been toying with the idea for some time now of trying to base blog posts on these scrapbooks, similar to the posts I do about vintage publications and 45 RPM records. And so, here’s the first installment of what could become a semi-regular feature. My oldest notebook dates back to 1981, and despite being bloated from all the clippings pasted inside, it remains in good shape. Back then I had a part-time job at a Mom and Pop record store in the Peacock Alley section of the Ford City Mall on Chicago’s southwest side. The owner would give me his copies of Billboard magazine once he was done with them, and I would search each issue for items about my favorite bands. I was also an avid reader of other national rock magazines, plus the Illinois Entertainer (even before I started writing for it), The Chicago Reader, and the daily newspapers. Glancing though the notebook, several of the bylines are familiar, such as J.D. Considine, Christopher Connelly, Kurt Loder, and David Fricke from Rolling Stone; and Lynn Van Matre, Dave Hoekstra, Lloyd Sachs, Don McLeese, Neil Tesser, Bill Dalton, Cary Baker, Bill Paige, Edward M. Bury, Parke Puterbaugh, Jeff Lind, and M.J. Carroll from the local press. 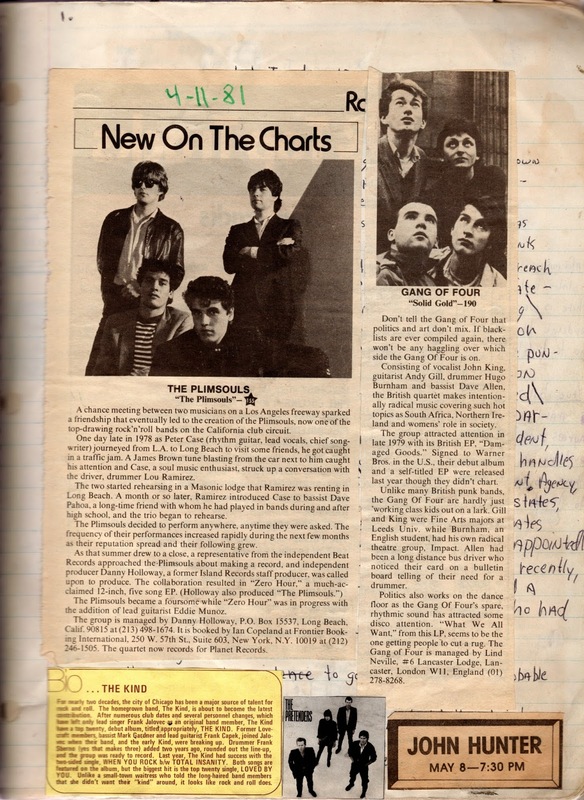 There are reviews and articles related to the early days of bands like The Bangles, The Elvis Brothers, The Plimsouls, Off Broadway, Gang Of Four, R.E.M., Shoes, The Teardrop Explodes, Heavy Manners, Rank And File, and Translator. There’s a bio of local power pop band The Kind from what I think is a radio station survey; ads for local acts Bohemia, The Way Moves, Naked Raygun, and John Hunter; as well as a quarter page ad for the ABC Channel 7 Sweet Home Chicago TV special that was simulcast on WXRT. It starred Dan Ackroyd, Koko Taylor, James Cotton, Buddy Guy, and Willie Dixon. I don’t often get a chance to sit down and reminisce with these scrapbooks, but like any good book, it’s nice to know I still have them in my library. 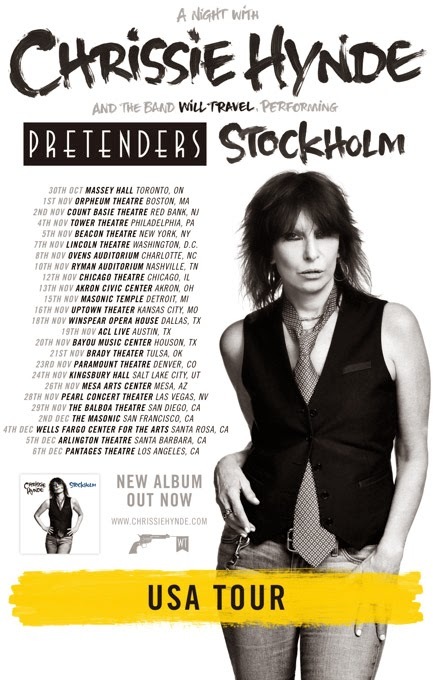 Chrissie Hynde has been to Chicago a number of times with The Pretenders, but her gig next Wednesday at the Chicago Theatre will be in support of her solo debut Stockholm. Hynde is likely to play a mix of songs from that effort as well as some well-chosen Pretenders gems. In my review of Stockholm earlier this year for the Illinois Entertainer (and posted later here), I wrote that the album finds Hynde breaking new ground while still playing to her strengths. Those who enjoy Wednesday night’s show might want to get up early on the day after Thanksgiving to snag the one-day only release of the six-song Stockholm Live At The 229 Club, London, England on colored vinyl. It’s one of the Black Friday Record Store Day releases. Drummer Brad Elvis is used to traveling around the universe with The Romantics, but his Chicago-based band The Handcuffs with have a rare out-of-state show tomorrow night in Nashville when they perform with Bill Lloyd, and the Big Star A to Z tribute band at The Basement. Chicago Art Magazine has reached 96% of its goal on IndieGoGo to raise funds to save its archive of over 1,000 articles. Although the online publication closed in 2012, former Editor-In-Chief Kathryn Born points out that the site was still drawing visitors until last month, when it was hobbled by a malware attack. The money raised through IndieGoGo will go to update and protect Chicago Art Magazine and its related websites. I’m proud to say I contributed a number of articles to Chicago Art Magazine, and the other online publications Born produced with the help of Managing Editor Robin Dluzen, including Chicago DIY Film, TINC, and Chicago Performance And Trailers. It’s nice to see they still have such enthusiastic support from the Chicago art community. Let’s all silly walk to Downers Grove. John Cleese, who possesses one of this generation’s sharpest comedic minds, will be at the Tivoli Theatre in Downers Grove to discuss his new book So, Anyway on Tuesday night. The appearance is being sponsored by Anderson’s BookShop. 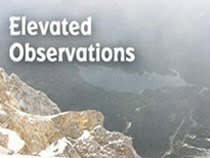 The $36 admission includes a pre-signed copy of the book. The Telepaths, a garage rock band that includes journalist-musician Pat Über-Critic McDonald and musician-actor-writer James Moeller, will be performing their guitar-driven songs at The Mutiny tomorrow night. The club is located at 2428 N. Western in Chicago, show time is 9:00 PM. California man David Bash has been enjoying himself in New York, where his International Pop Overthrow power pop/indie rock fest has been making its annual five-day/seven show visit. It runs through this Sunday, November 9th, at the Bar Matchless club in Brooklyn. This weekend’s highlights include The Lannie Flowers Band, Dave Rave, and The Anderson Council. Drummer Dennis Diken will continue touring with The Smithereens, and he’ll join Jonathan Lee and Tom Currie of The Jigsaw Seen as they back singer-guitarist Dave Davies of The Kinks in a series of upcoming gigs. That includes the November 12th and 13th dates at City Winery - Chicago next week. Brad Cole is the opening act for those Chicago gigs. Ian Hunter And The Rant Band will be at Park West in Chicago next Friday, November 14th. Over 90 vendors will be on hand when the Andersonville Galleria holds its 7th Anniversary Party next Friday, November 14th from 7:00 to 10:00 PM. There will be free refreshments and hors d’oeuvres. Andersonville Galleria is located at 5247 N. Clark Street. Folk singer-guitarist Quinn Tsan will drop by Constellation at 3111 N. Western Avenue in Chicago next Friday, November 14th to celebrate the release of her Good Winter EP at in Chicago. Passerines and Kelsey Wild are also on the bill. The show starts at 9:30 PM. 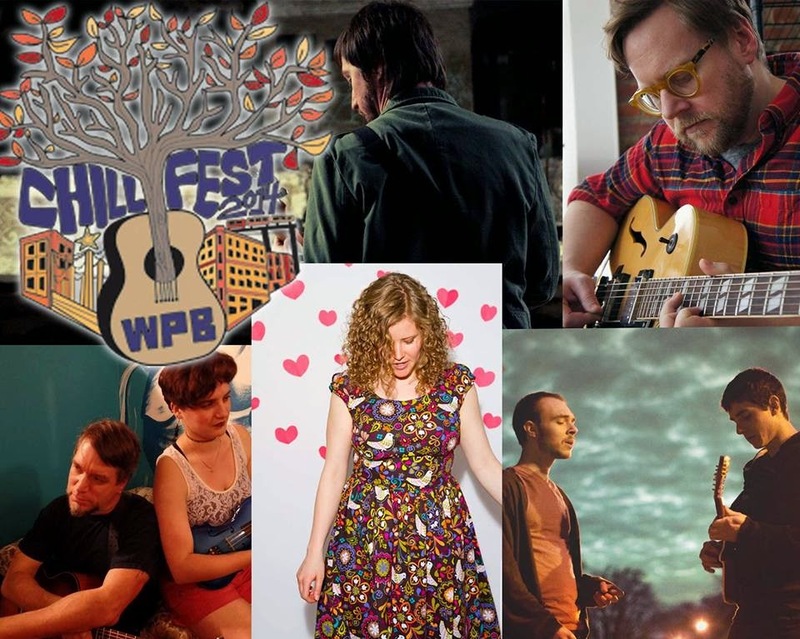 ChillFest returns for its second year next Saturday, when it will present 85 acoustic performances over the course of six hours. The festival kicks off at noon and will take place throughout Wicker Park and Bucktown; involving venues like Subterranean, Lottie’s Pub, David’s Tea, Bar Bar Black Sheep, and The Smoke Daddy. Performers include Urban Twang, Liz Chidester, Blue Line, Tijuana Hercules, and Acoustic Raccoon. There will be an after-party at Subterranean, starting at 7:15 PM. Seven bands will be performing at a benefit for Wicker Park business owner Tiffany Dean at the Double Door club on November 19th. Black Cat Heart Attack; The Artist Formally Known As Vince; The Dead On; Anger; The Ladies And Gentlemen; Sunken Ships; Dorian Taj; and Cochinas y Los Pistoleros are the musical guests, and Herb Rosen from the Liars Club will serve as host. The doors open at 7:30 PM, admission is $8. Vocalists-guitarists Mike Cohen and Jeff Janulis will lead their tribute band The Everly Hillbillies to Simon’s Tavern on November 23rd. The duo also fronts the all-original power pop band The Abbeys, and this side-project is a labor of love since these guys were heavily influenced by The Everly Brothers when it comes to harmony vocals. 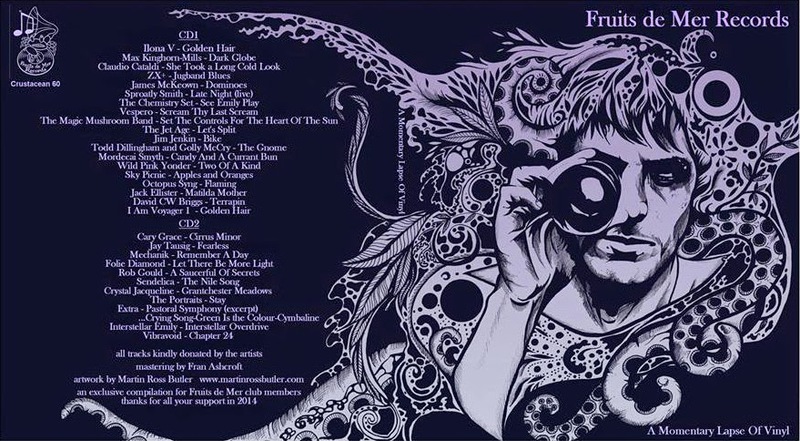 Indie rock trio Fort Frances, whose album Harbour was reviewed favorably here on July 31, 2013, has recorded a video showing band members David McMillin, Jeffrey Piper, and Aaron Kiser seated at a piano while playing the Sufijan Stevens song "Chicago." The result is a stark but effective version that calls to mind the way Gary Jules interpreted the Tears For Fears song “Mad World.” Fort Frances will be performing at Lincoln on December 12th. Plastic Seoul. Paul McCartney’s official website and his Facebook page recently reported that the Linda McCartney Retrospective is now open to the public at The Daelim Museum in Seoul, Korea. The exhibition features a combination of photographs of rock stars and more personal images from her times with Paul. I have a copy of the Linda McCartney’s Sixties: Portraits Of An Era book, which follows the same format, and it’s amazing. So, I’ll just add this and the British Invasion exhibition at The Beatles Story in Liverpool to the list of things that MUST come to Chicago. I wish they still played garage rock like they did on their first two albums, but after a misfired song or two, the Paris-based Plastiscines have now settled comfortably into their more techno-oriented music. “Back To The Start,” the official video of the title track of their latest release, underscores the song’s light, melodic arrangement with a slice of life look at the band members hanging out and having fun with friends. As far as I can tell, Back To The Start is still not available in America.